A Happy New Year to you all. Following on from our successful meeting last year I've arranged another Hereford Moth Recorders meeting/social evening on Tuesday 5th February 2019 at The Swan Inn, 171 Aylestone Hill, Hereford HR1 1JJ. As Last Year if you'd like to eat, meet around 6:30pm and after we shall move to the area at the back of the pub for a more general chat towards 8:00pm and join the non diners. Please let me know if you plan to eat by 4th Feb and I can let the landlord know approximate numbers. Please pass this invite with my apologies to any Moth Recorders who I haven't included, I know there are some out there. 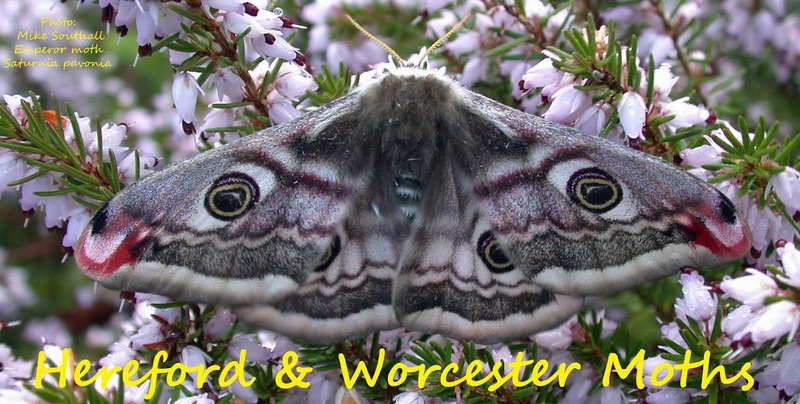 Ian Duncan co author of the Butterflies of the West Midlands and Nature of the Malvern Hills is hoping to come and chat about his forthcoming book on The Moths of The West Midlands and tell us of any ways we can help with the publication. Hopefully we can reflect on the year just gone and discuss any issues you may have, or things you would like to do as a group. I hope everyone will get their 2018 records into the County Moth Recorders; Peter Hall or Phyl King, if you haven't already. If you participated in GMS get your completed form back to John Walshe asap.